Have a transformative wilderness experience. 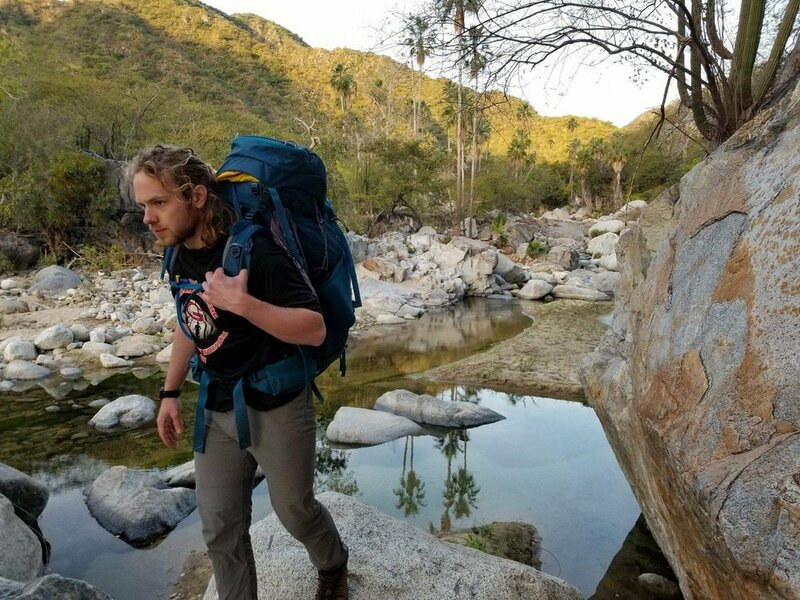 Wilderness Rescue Training partners with the State University of New York each year to offer a backpacking trip in the magical Sierra de la Laguna mountains in sunny Baja California Sur, Mexico. Baja is both beautiful and safe. The locals are welcoming, and the mountains rise from sea level to above 6,000 feet, offering breathtaking views. Immerse yourself in a different culture. 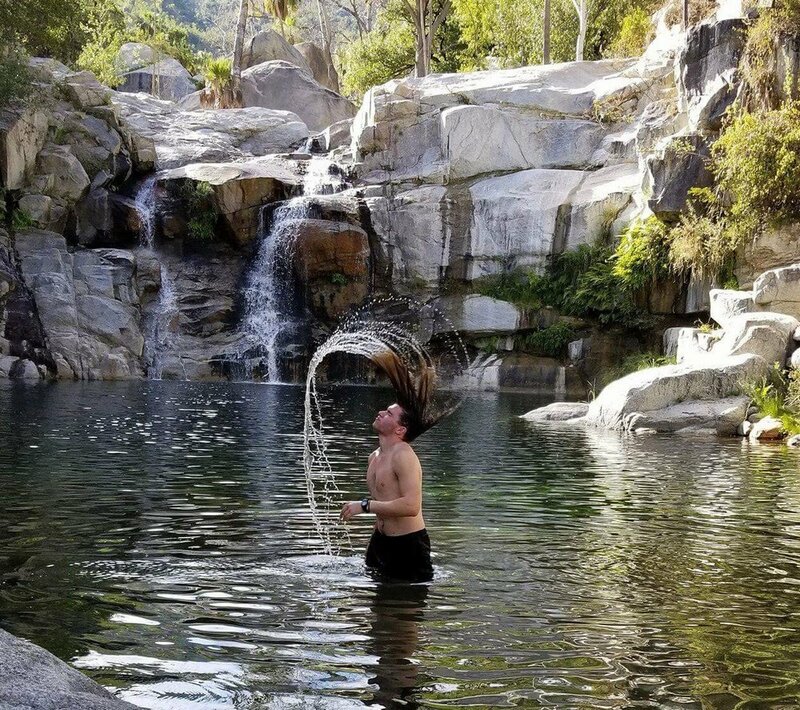 The Sierra de la Laguna is rarely visited by Americans. Here, small substance farms are hidden far from the nearest road. The rancheros that live there lead self-sufficient lifestyles, raising goats and tending mango orchards. Learn about living close to the land by interacting with these off-the-grid families. Get college credit through the State University of New York. Participants who are enrolled in any US college or university can earn three credits through SUNY Cortland's REC 478/678: Expeditionary Learning Practicum. Earn a Trip Leader Certificate from Wilderness Rescue Training. You will master outdoor living skills that will serve you well in any environment, and walk away with the confidence to lead your own trips. Successful participants will earn a Trip Leader Certificate. Allie facilitates a map briefing before the day's travel. Answers to all of your questions, from getting credit to getting to the airport! Our route passes natural water slides. Building a fire on the beach by the Sea of Cortez. The Sierra de La Laguna. Jack works his way up valley, off trail. The emerald waters of the Sierra support surprisingly rich plant life. Adam cools off, and practices for his next Revlon commercial. Michelle demonstrates how to cool off in good style. 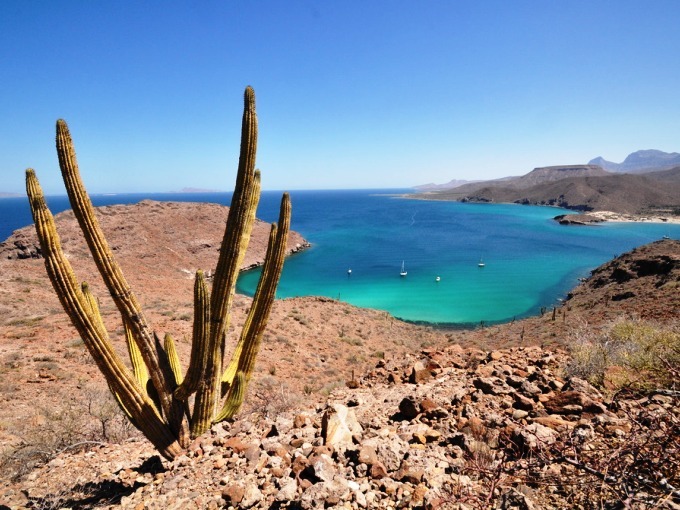 The Sea of Cortez, also known as the the Gulf of California. The BLE ends here.